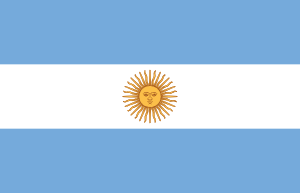 My post today is about viveza criolla and how mostly all foreigners here bag Argentina as a very dishonest place to do business which is utter crap and very damaging to the countries image. Viveza criolla is human nature and to say that portenos are a step above most other countries like united states Australia and most of Europe is a fantasy. In all the years I have been coming here the most dishonest things that have happened to me have been being ripped off by taxi drivers by a few pesos . I'm sure that bribes happen but I accept that and deal with it. In Australia which people believe to be paradise .I clocked up 3000 dollars in fines just for parking and also the police in Australia are known for their heavy handed attitude. People of the lower classes in Buenos Aires in the main are kind honest and trustworthy and I can tell you that I have dropped money on the street here many many times and had it returned by poor people . I believe that foreigners in Argentina are using this line to create fear and business for themselves . I remember when I brought my apartment here recently I went to this very famous foreigners real estate office in Argentina that deals with buying property in Argentina . They tried to tell me that if I didn't deal with them I would be fleeced of my money while trying to charge me 7000 pesos just to get me a CD and constancia de mi domicilio. That job took me 3 hours and cost 20 pesos. In Argentina I have to say that the Escribana system is excellent and they do a very thorough job and most only charge 1 percent . "..I remeber (sic) when I brought my apartment here recently.."
wow ! what a structural feat that must have been, you brought your apartment from Australia? my congratulations to you ! ah- but narrow asinineness is the essence of the anglo saxon! as an argie I agree with the comment - visitors perceive a stilted political system and paint the whole as one thing- and mind you, they like the local ease but complain of corruption-the very reason why people take it easy. I don´t know why Argentineans have such a bad reputation abroad. While it is true that some people may try to take advantage of tourists, most of the citizre not like that, and it is always hard to fight against a stereotype. I rememeber when I was traying to rent a buenos aires apartment I got halp from a lot of people and none of them tried to take advantage, on the contrary, they helped me so much I felt embarrased! I know why they get a bad rap because it's deserved. If you want to run in a race and you are a foreigner you pay 3 times the amount. If you want to rent an apartment and you are a foreigner you pay 3 times the amount. If that happened where I am from people would riot. Argentina needs to get over the feeling of inferiority and superiority they are constantly trying to combat and just treat people like equals. 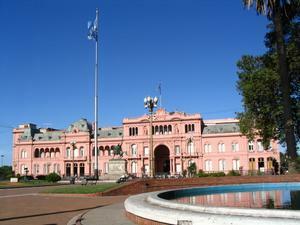 Argentina is a great place for doing business and not just only in finance, trade and agriculture. you are absolutelly right.